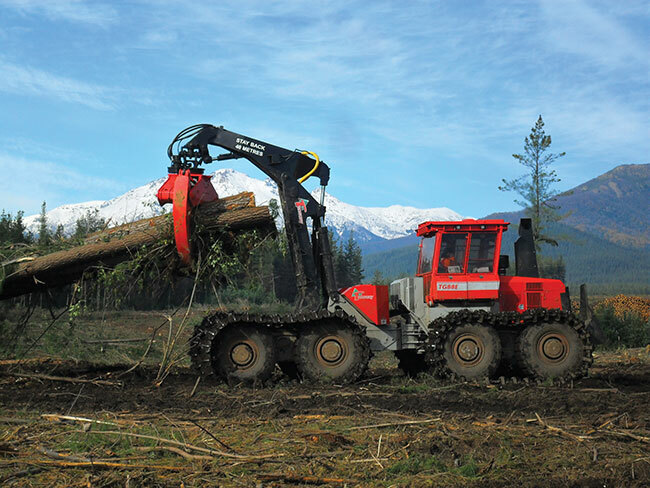 Sept. 28, 2018 - Canadian Forest Industries brings you the newest skidder technology for Canadian terrains. The new L-Series II Skidder models have been simplified to enhance customer experience. 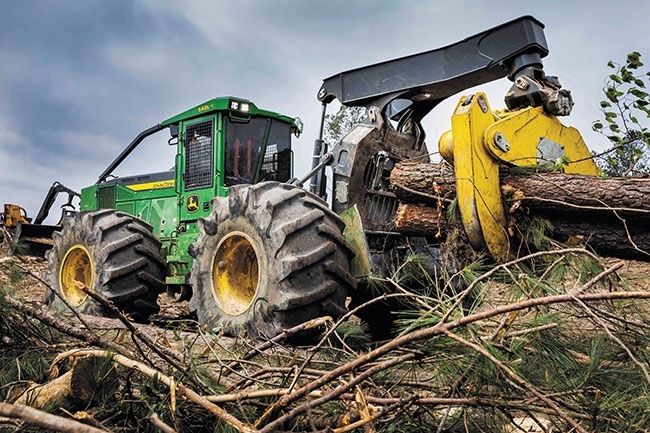 The new L-Series II Skidder models have been simplified to enhance customer experience. Streamlined electrical and hydraulic systems increase uptime and have been redesigned to ensure better guarding and protection of key components. Increased grapple squeeze pressure and a new two-speed winch enhance productivity and tackle tough terrain with ease. The durable axles, including the Outboard-Extreme axles, standard on the 848 and 948 and optional on the 748 machines, maximize durability and boost stability. The continuously variable transmission (CVT) feature combines the smoothness of a hydrostatic transmission with the benefits of a lockup torque converter, offering excellent fuel efficiency, longer engine life and enhanced operator comfort. The Tigercat 632E is the industry’s highest production four-wheel drive grapple skidder, suited to the toughest jobs, the most demanding terrain, heavy loads and around-the-clock operations. The 632E can be equipped with the largest grapple offered on any four-wheel skidder on the market. The larger 2.1 cubic metre (23 square feet) grapple option has a tip-to-tip opening of 3,860 mm. (152 in.). Several components and structures have been upsized for improved durability. A newly enhanced EHS transmission produces more torque — with the same top speed as the previous generation of EHS. Tigercat OB20 rear axle — specially designed for the 632E — provides 47 per cent more torque capacity and nearly twice the life on all bearings. 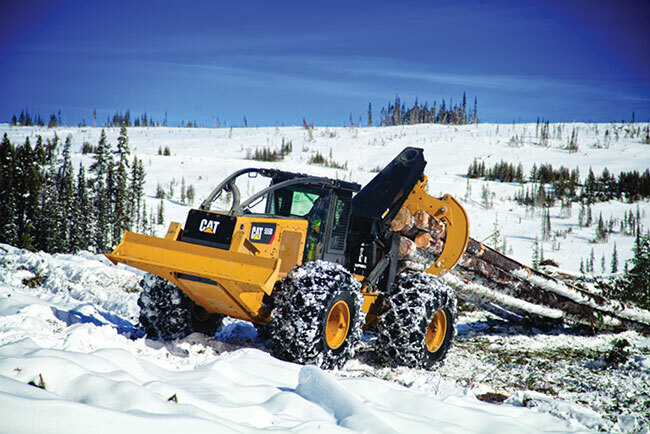 Cat D Series wheel skidders maximize productivity in the woods. 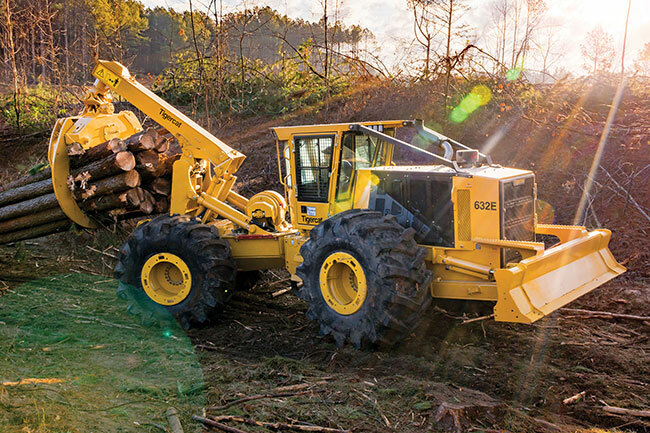 They haul more wood, shorten skid times, and reduce operating costs. They feature a six-speed transmission with optimized ratios, lock-up torque converter, and independent front and rear differentials for more pulling power and control. They also feature a high-capacity cooling system with reversing fan and high-performance hydraulics. The High Rotation Seat, which turns 100 degrees, integrated Cat ARM seat suspension, four-point seat belt and joystick steering provide unmatched ride quality, safety, and reduce operator fatigue. KMC-KooTrac continues to make “in roads” with their KMC Track Skidder remanufacture program. The machines have been demonstrated through-out the U.S. Pacific Northwest. The KMC track skidder is designed specifically to work on steep slopes or on wet/boggy soil conditions and is proven to be an excellent alternative to shovel logging, especially when skidding on adverse slopes or on sensitive soil conditions. The site degradation is very minimal compared to alternate systems. The KMC re-man program delivers the 2000 series track skidders in like new condition for two-thirds the cost of a new machine price and with a new machine warranty. The Tanguay TG88E skidder is available as a clambunk or L-boom grapple configuration with a huge payload capacity of 35 tons. Powered by a 400-hp engines, the TG88E comes with a choice of track width up to 60 inches for extremely low ground pressure. The reliable and proven 100 per cent hydrostatic drive provides incredible manoeuvrability and a perfect traction for minimum ground disturbance. The TG88E Clambunk and its powerful loader is the machine of choice for economically load and skid tree length to road side on long distances. 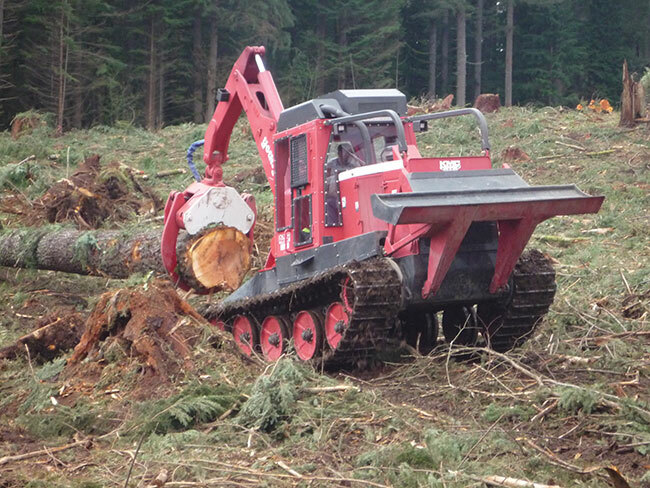 The L Boom grapple skidder has proven very productive on shorter distances and longer timber stands. Designed and manufactured in Canada, the TG88E is by far the world largest forwarder and a solution for year round operations.